Come along on a journey with me for the next 31 days! 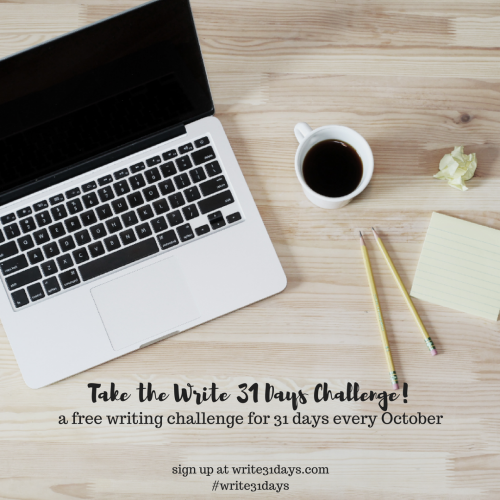 I've joined the write 31 days challenge (it's not too late for you to join us) hosted by Crystal Stine. During the month of October, I will be sharing stories, pictures and Scripture of how the Lord is helping me to "Focus Upward" on Him. Come back each day to this page and I'll link the other posts. You can also subscribe to my blog and the posts will arrive in your email inbox. I'm excited to see where He will lead and what I will learn about Him and myself along the journey. Let the fun begin! Day 1: I have never been a very good goal maker. I have "jumped on the bandwagon" of choosing "one-word" to shape the year ahead. You choose "my one word" for the year, kind of like a goal or resolution, but for me, it has been easier and better for my walk with the Lord. My one word for 2016 is "Focus". I am learning to focus on what is in front of me and most importantly, to focus on Jesus! I don't always remember it perfectly and at times I forget about it for weeks at a time. A new month is always a good time to "re-focus". Hebrews 12:1-2 (NASB) "...let us also lay aside every encumbrance and the sin which so easily entangles us, and let us run with endurance the race that is set before us, fixing our eyes on Jesus, the author and perfecter of faith..."
It is not always easy to fix or focus my eyes on Jesus. So many things vie for my attention - social media, busyness, food, etc. It is a constant battle in my mind to focus. What things try to take your focus off of Jesus? Hebrews 12:1-2 is my prayer...may it be yours too! 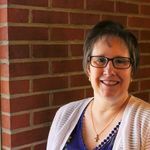 Connect with other bloggers writing about inspiration and faith.